The jolly elf ditched the sleigh for a motorcycle when he picked up toys from Montgomery County businesses. Later he made a special delivery to the kids at the National Institutes of Health's Children's Inn. WASHINGTON — Santa’s got a brand new ride. 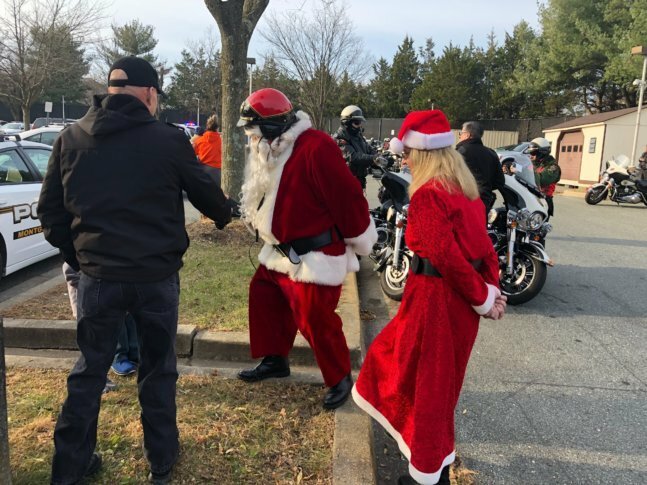 And on Wednesday, he cruised around on that Harley-Davidson, collecting toys from Montgomery County businesses before making a special delivery to the kids at the National Institutes of Health’s Children’s Inn. The jolly elf ditched the reindeer, too. In their place were 30 police officers, also on motorcycles. Santa told WTOP that it’s all about spreading joy. “Reach out there and help people everywhere you go and everything you do in your life, and believe you me, it’ll work out fine,” he said.